Anita E. (Smith) Klepper, of Sandusky, died Thursday, Jan. 10, 2019, in Parkvue Health Care Center. Anita was born in Sandusky, Oct. 29, 1921, the daughter of Albert and Ida Smith. 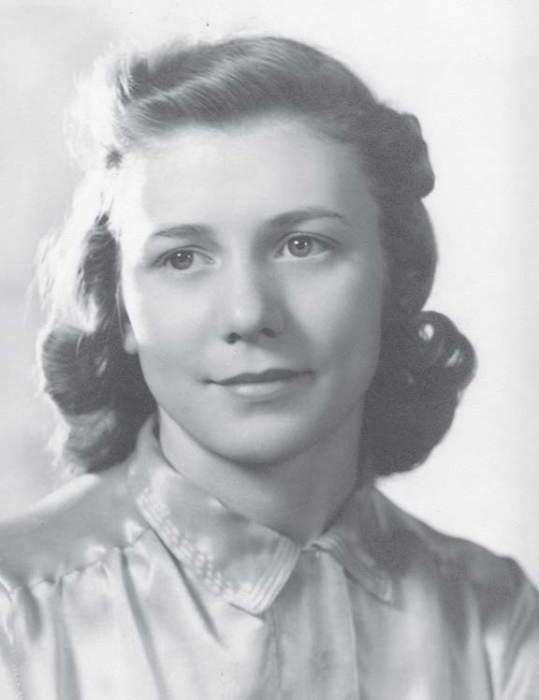 She graduated from Sandusky High School in 1939 and Sandusky Business College thereafter. She married Edmund C. Klepper May 1, 1942. She worked in the bath house at Cedar Point, as a secretary at Frankel’s, Plum Brook Ordnance Works, City Ice Company, and Harold Hill Insurance Agency, and then as a Licensed Practical Nurse at Good Samaritan Hospital at the time of her retirement in 1980. During her lifetime she was a member of St. Stephen’s Evangelical and Reformed Church (which later became St. Stephen’s United Church of Christ), Sandusky High School Alumni Association, Sandusky Yacht Club, Order of Eastern Star, American Legion Auxiliary, I.A.B. Club, Zenobia Shrine, and Firelands Shrine. She was a founding member of the Sandusky-Erie County Community Foundation through which she supported Victory Kitchen and Back to the Wild along with various other charities. She enjoyed traveling, reading, and doing crossword puzzles. Anita was a loving mother and grandmother and leaves to cherish her memory her daughters, Georgia Simpson (Robert) of Flint, Mich., and Kathleen Sartor (Lynn) of Sandusky; grandson, John M. Simpson of Flint; granddaughters, Sloane Simpson Slagg of Flint, Amy Sartor of Sandusky, and Erin Sartor Michael (Dan) of Aurora, Ohio; great-granddaughters, Kelley Slagg, Danielle Slagg, Brittany Newman (Kyle), Amanda Allen, Shianne Simpson, and Jordan Simpson of Flint; seven great-greatgrandchildren; sister-in-law, Phyllis Klepper Jones of Union City, Ind. ; and many nieces and nephews. She also leaves two favorite furry friends, Willie and Jake Sartor. She was preceded in death by her husband, Edmund; parents, Albert and Ida Smith; brothers, Clarence, Allen, and Harold Smith; sisters, Dorothy Pinches, Helen Jaffary, and twin sister Annette in infancy; and niece, Patricia Pontefract. Memorial contributions may be made to St. Stephen’s United Church of Christ, Back to the Wild, Victory Kitchen, Juvenile Diabetes Association, Shrine Hospitals for Burned or Crippled Children, or the charity of your choice. Condolences may be shared at gsimpson1244@hotmail.com.